MELBOURNE, Australia, April 12, 2013 (ENS) – Woodside Petroleum has shelved plans for a $4.5 billion liquid natural gas processing plant at James Price Point. 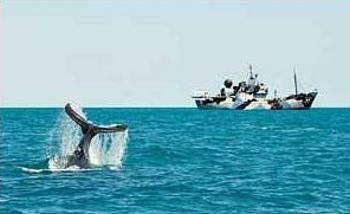 The site on Western Australia’s pristine Kimberley coast is also the site of the world’s largest humpback whale nursery. In the winter birthing season, more than 10,000 humpbacks gather there and hundreds of calves are born. Blue whales, the world’s largest animals, pass through these waters to calve further north. Woodside has already cleared many of the permitting hurdles required to build the Browse LNG processing plant at James Price Point, but today the company said an internal review of the project found it would not deliver the financial returns the company needs to proceed. “At this point we believe that it is not commercial to proceed with the James Price Point project,” said Woodside CEO and Managing Director Peter Coleman, announcing the decision. Coleman said the company would consider other alternatives such as a floating terminal, but for now the project is on hold. Shareholders applauded the decision with a surge in the company’s share price. Woodside and the West Australian Government had planned to develop one of the world’s biggest industrial complexes, drilling and dredging up to six kilometers out to sea, with a large ships jetty several kilometers long built through the middle of the whale nursery. Last July, the nonprofit conservation organization Sea Shepherd, known for its success in driving Japanese whalers out of Australian waters, received an invitation from the Goolarabooloo Aboriginal people to help them halt construction of the Woodside LNG facility. “Our Sea Country here is the home of the Humpback whale. We have seen the work you have done to protect the whales in the Southern Ocean. 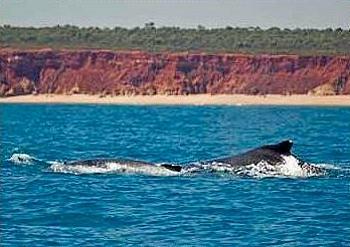 We would appreciate any support you can give us to protect the Humpback in our Sea Country from the proposal to build an industrial port at James Price Point for LNG export,” wrote Goolarabooloo Senior Law Bosses, Joseph Roe, Phillip Roe and Richard Hunter. “Sea Shepherd accepts the invitation in the spirit of eternal friendship with a promise to stand in unity with the Goolarabooloo to defend the beauty and sacredness of this wondrous environment,” said the group’s founder Captain Paul Watson. “In honoring the Goolarabooloo, we are naming this campaign operation Kimberley Miinimbi, the Goolarabooloo name for humpback whale,” Watson said. The ocean’s uncontaminated state at the proposed site has resulted in a rare abundance of green, flat back, loggerhead, and hawksbill turtles, numerous species of whales and dolphins, migratory birds, fish including manta rays and sharks, dugongs, plankton, sea-grass and coral. 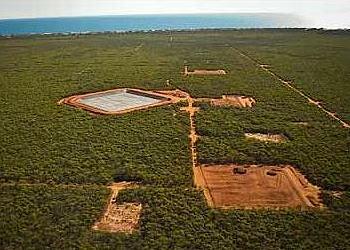 Still, in July 2012, the LNG gas hub had been given a conditional go-ahead by Western Australia’s Environmental Protection Authority, even though four of the five board members stood aside due to conflicts of interest. EPA Chairman Dr. Paul Vogel, the one board member who authorized the project, admitted that turbidity from dredging, oil spills, industrial discharges, noise, light and vessel strikes could adversely affect whales, dolphins, turtles, dugong and fish. With the support of the Australian Greens and under the leadership of former Greens Senator Bob Brown, who now heads Sea Shepherd Australia, the group began to publicize the issue, drawing more than 700 people to a demonstration in Sydney against the gas hub and targeting local and federal officials, such as Environment Minister Tony Burke, with emails. Premier Barnett expressed concern that Woodside’s withdrawal would “break the hearts of Aboriginal people” who had been poised to receive a $1.5 billion benefits package in compensation for native title to James Price Point. 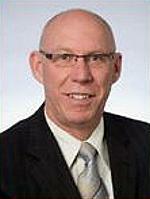 Brown said the native people should still get the payment, although he differed from Barnett in specifying the amount. “It is now essential that the 1.3 billion dollar payment to the traditional owners from exploiting the Browse basin gas be guaranteed even though the processing is likely to occur 400 kilometers off the coast,” said Brown. Sea Shepherd Australia Director Jeff Hansen was amazed and delighted by the whales he saw when he sailed the organization’s flagship, the Steve Irwin, to the area last August. “On my first day I witnessed mothers and calves nursing less than one kilometer off the former proposed site. In a place with stunning turquoise water, vibrant red cliffs, a rich and ancient culture going back tens of thousands of years and dinosaur footprints dating back over 230 million years, I could not comprehend what Woodside and the state government were contemplating,” said Hansen. Despite the increased pressure from the Sea Shepherd and other conservation groups, Woodside’s Coleman said it was not environmental considerations that determined the company’s decision. Now Sea Shepherd and the traditional owners of the Kimberley region are calling for assessment of the site for protection under UNESCO’s World Heritage treaty.